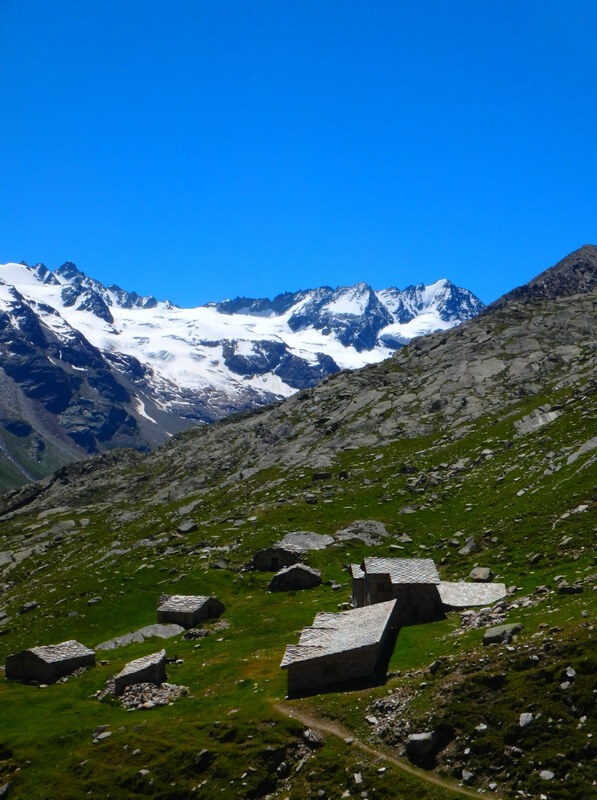 The final climb to the pass was a bit steeper but enormously rewarding, with views of the Western Swiss Alps in full glory (Matterhorn, Combin, Breithorn) and all to ourselves. 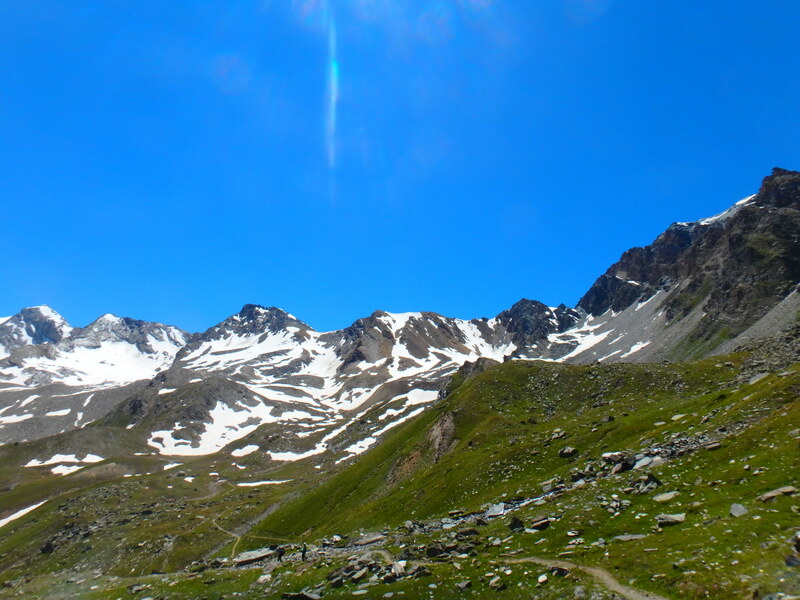 From there it was a downhill hike all the way back to our car in Cogne, 1700m, with no technical difficulty once we had crossed the few hundred meters of residual snow. 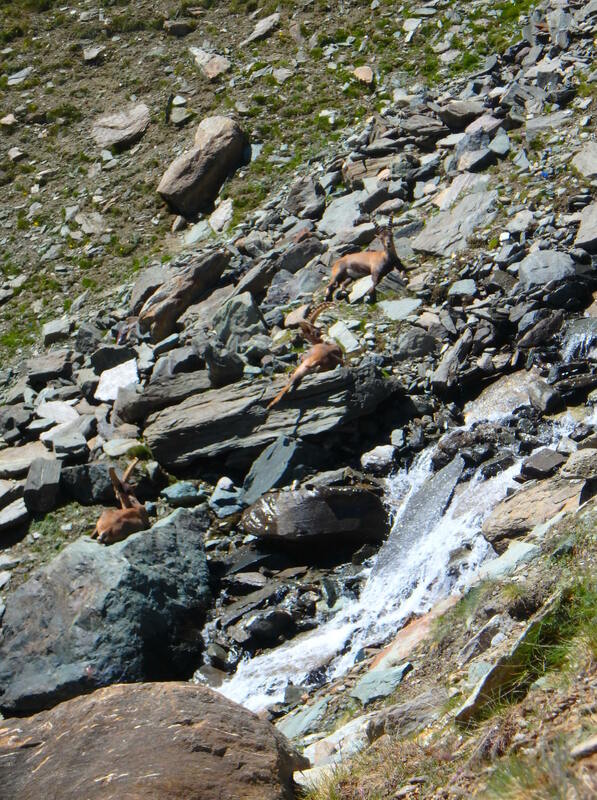 And with the added reward of seeing several herds of the shy chamois mountain goat. Except that my daughter’s rental mountaineering shoes started to make themselves heard and that she could barely walk downwards. (She eventually lost her big toe nails!) It thus took us forever to get down (despite me running to the car and back to get lighter shoes) and we came to the car at 8:30, too late to contemplate a drive back to Paris. 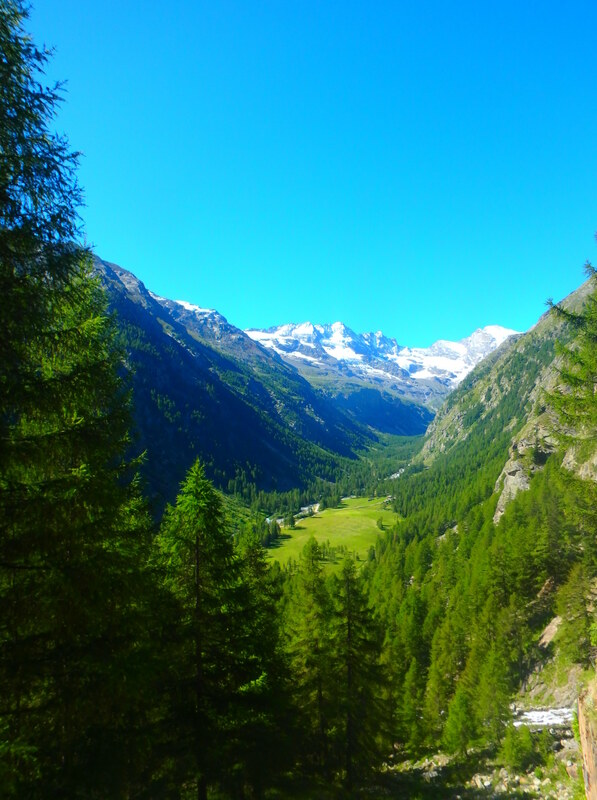 This entry was posted on August 28, 2016 at 12:16 am and is filed under Kids, Mountains, pictures, Travel with tags Alps, chamois, Cogne, Gran Paradiso, hiking, La Grivola, Rifugio Vittorio Stella, steinbocks, Vale d'Aosta. You can follow any responses to this entry through the RSS 2.0 feed. You can leave a response, or trackback from your own site.